Most of you may already have heard but for those who worked at Channel 9 in the old days, you will be saddened to hear of the passing (today) of JACK WONG SUE. Jack was known as the Host of the Channel 9 program called Down Under. Decorated Australian war hero Jack Wong Sue has died in a Perth hospice, aged 84. Jack Sue was a member of the Z-Force unit, the predecessor to the SAS, during World War II. He served behind enemy lines in Borneo for six months when he was a 19-year-old. There he witnessed the Sandakan prisoner of war camp. Only six of 2,000 Australians returned from the camp alive. Mr Sue was awarded the Army’s Distinguished Conduct Medal and the United States Submarine Combat Insignia. He wrote several books about his experiences in the war. Jack Wong Sue, OAM, DCM, JP also known as Jack Sue, was born 12 September 1925 and died in a Perth hospice, 16 November 2009 (aged 84). Wong was a prominent Chinese Australian from Perth, Western Australia. Wong Sue served behind enemy lines in Borneo as a member of Z Force (also known as Z Special Unit), during World War II. 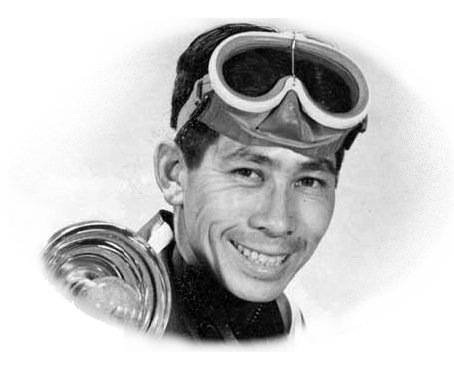 After the war, Wong Sue became a prominent businessman, with a diving store. 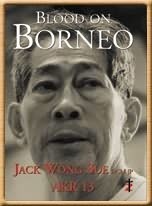 He was also an author and had worked as a guide for tours of Borneo. Wong Sue was also a musician and performed with bands in Perth for about 60 years. Whatever comments are made about these brave soldiers, by would be historians who rely on faulty and incomplete (often fabrications by military personnel who were not even in the field)information, it cannot be denied that they willingly risked their lives behind enemy lines; living in the threat of betrayal and exposure, or torture and death, with no back-up in the field. The details of what they did, or did not do is insignificant. They put their lives on the line for their Country and that in itself should be enough! People of Lynette Silver’s ilk might do well to remember that. Could she have done what they did? We will never know!